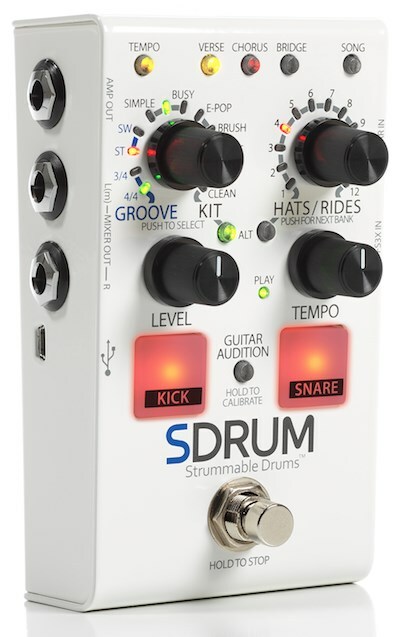 The SDRUM is a game changing pedal from DigiTech, allowing guitarists and bassists to programme their own drums on the fly, by strumming their instrument. The unit has the ability to store up to 36 different songs with the ability to choose from five different kits, across a variety of different genres. It's possible to program three different sections of a song and switch between them during performance.